It has been a long time since I did a Mommy Monday post, so I thought that today would be the perfect Monday to do that and give you an update on Baby #3 at the same time! 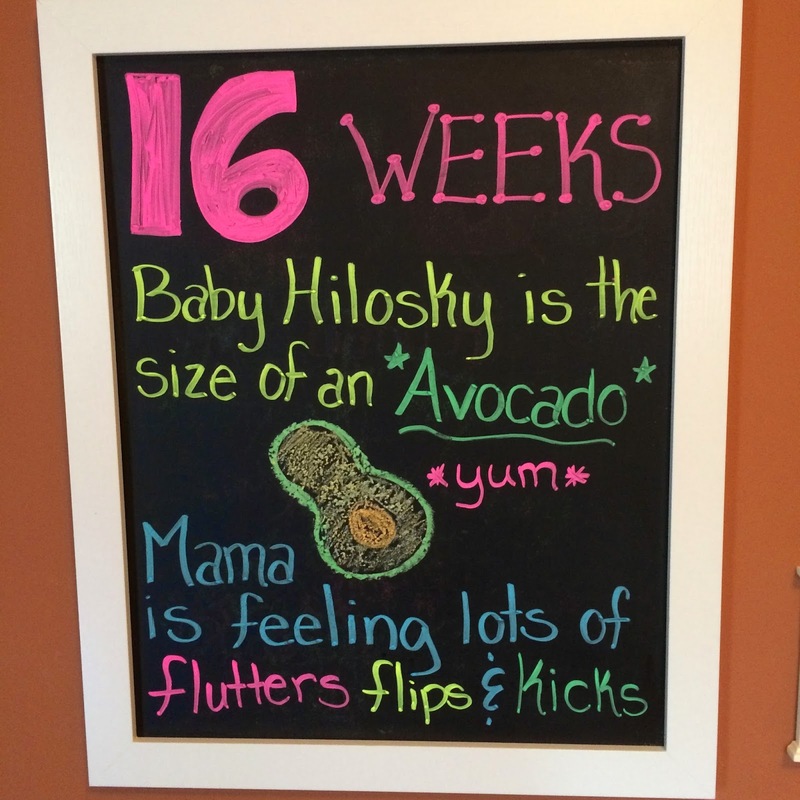 Last month, we announced to the world that we would be becoming Hilosky Family Party of Five! We have known about Baby #3 since Easter, and our immediate families found out on Mother's Day! But we waited until June 13th (which was 12 weeks) to tell everyone else! 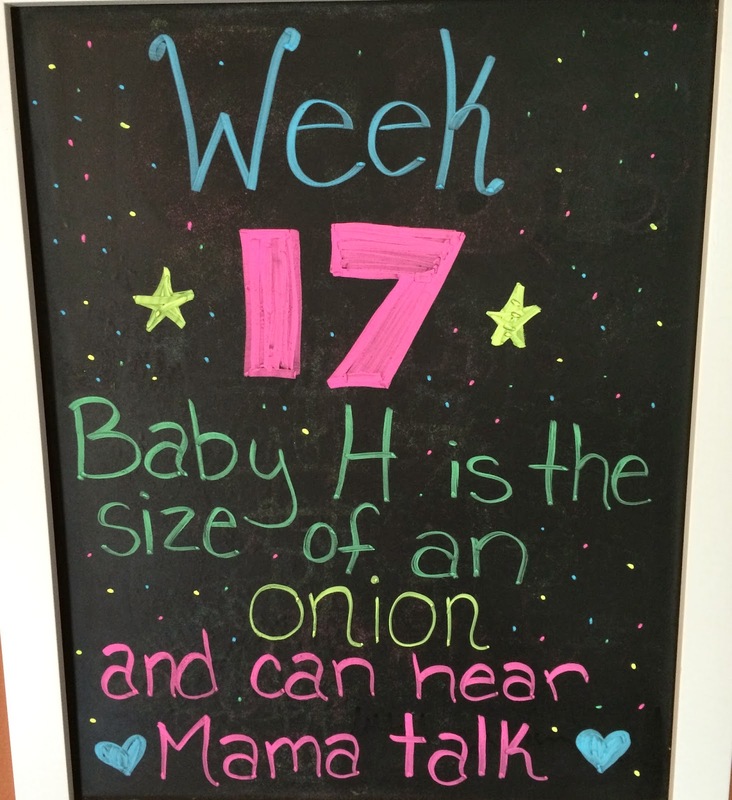 Currently, I am 17 weeks and feeling great! I have had two doctors appointments since my 12th week baby post, and both Mama and Baby are doing great! I can already feel baby move a ton! Morning sickness is a thing of the past. I am definitely tired...but not as bad as it was in the first trimester! This pregnancy I have been really good about taking week by week pictures (something I did not do with the girls). I also made myself a cute little chalkboard thanks to some help from my good friend Pinterest. Week 14 Baby Bump! So happy to be saying "hello" to the second trimester and saying "goodbye" to morning sickness!!! 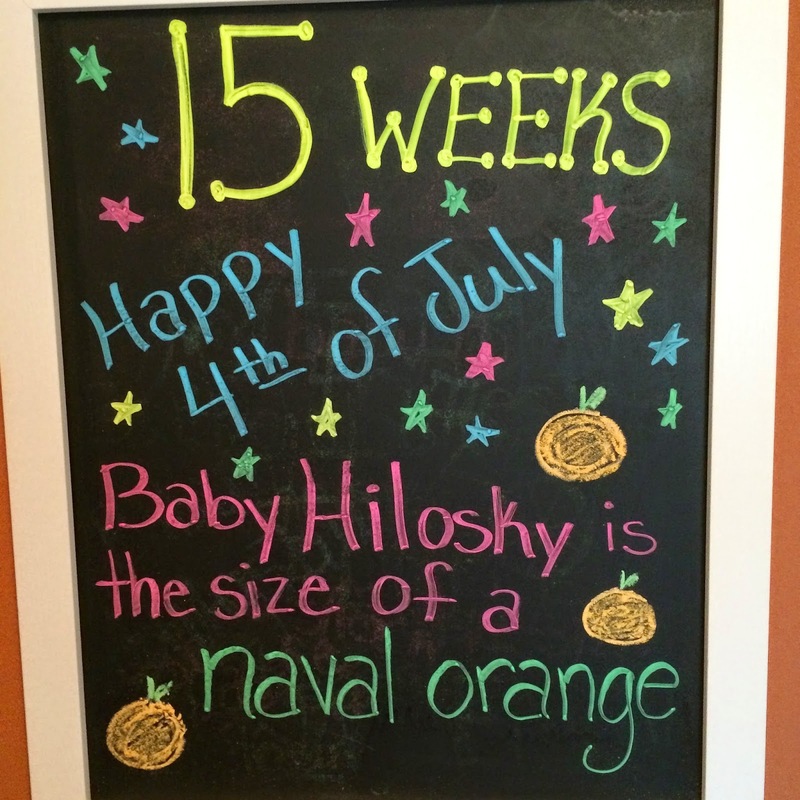 Week 15 Baby Bump and Happy 4th of July! I didn't have any red, white, and blue maternity clothes so I simply had to go with red and white. 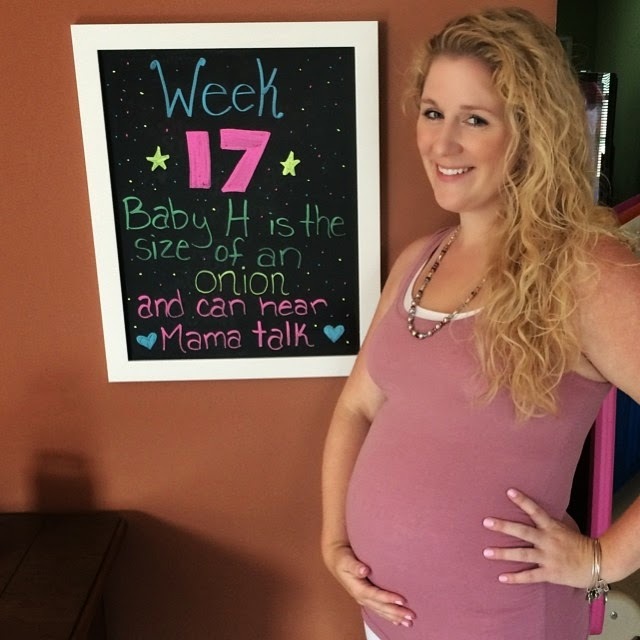 Week 16 Baby Bump! 4 months already! I had already been feeling little flutters for about 3 weeks, but this was the week I really started to feel a lot of movement! This is my current Baby Bump! Week 17! The heartburn is kicking in big time! That is not surprise since I lived on Tums with both Lacie and Blakely. My current chalkboard! 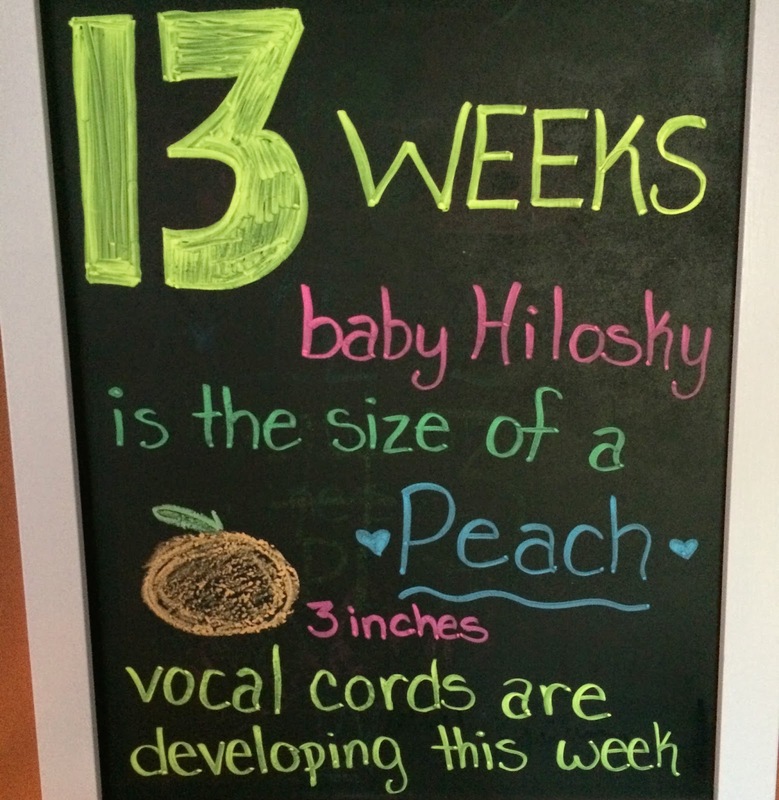 Baby Hilosky can already hear what is going on out here! 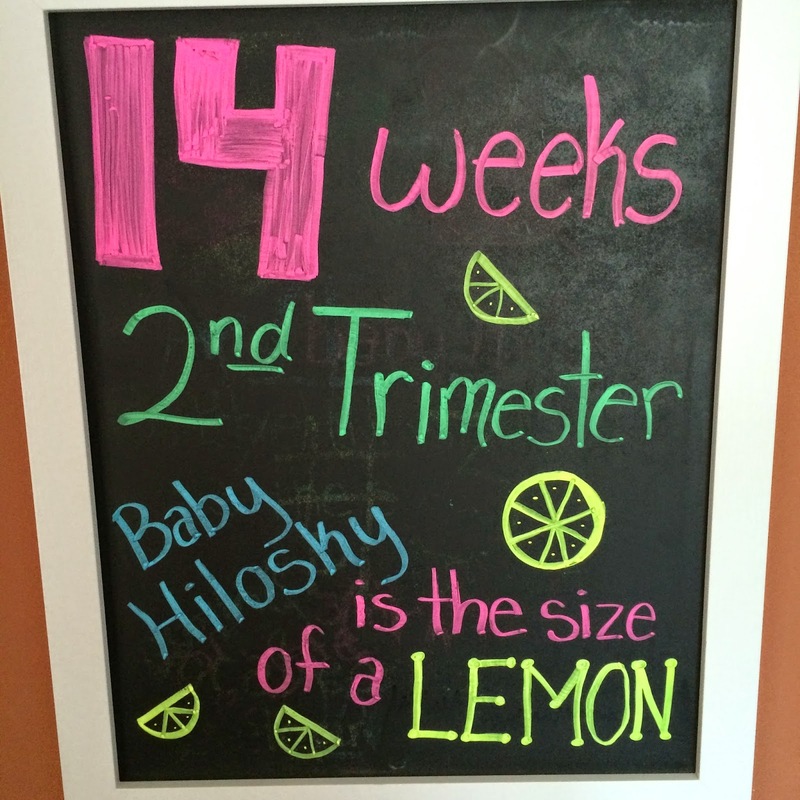 Stay tuned for Baby Hilosky #3 updates! Less than three weeks until we find out if this baby will add even more PINK to our lives or if this baby will bring a little spot of BLUE!